Debt to income ratios - SouthWind Mortgage, Inc.
Usually, underwriting for conventional loans requires a qualifying ratio of 28/36. An FHA loan will usually allow for a higher debt load, reflected in a higher (29/41) qualifying ratio. The first number is how much (by percent) of your gross monthly income that can go toward housing costs. This ratio is figured on your total payment, including homeowners' insurance, homeowners' dues, Private Mortgage Insurance - everything that constitutes the payment. The second number in the ratio is what percent of your gross income every month which can be spent on housing expenses and recurring debt. Recurring debt includes credit card payments, auto/boat payments, child support, et cetera. 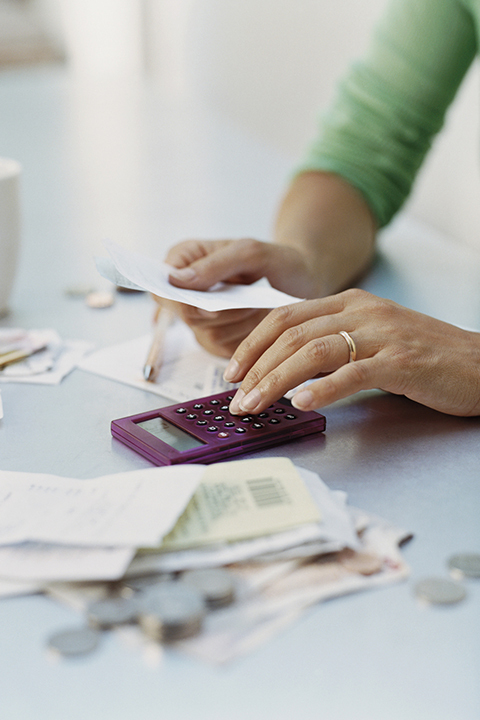 If you want to run your own numbers, feel free to use our Loan Qualifying Calculator. Remember these ratios are just guidelines. We'd be thrilled to pre-qualify you to help you determine how large a mortgage you can afford. SouthWind Mortgage, Inc. NMLS #276161 can answer questions about these ratios and many others. Give us a call at 561-791-8160. Ready to begin? Apply Here. ually an FHA loan will allow for a higher debt load, reflected in a higher (29/41) qualifying ratio.